Many times when you do online shopping you think of shopping for others be it any one in your family, for your friends, or just to send someone a gift. For this you need to add the recipients shipping address as when you pay for an order, PayPal asks for the shipping address where you want the merchant to send your order. Although your home address is the default, you can add alternative addresses for yourself or for gifts sent to other people. PayPal also lets you associate credit cards with your own alternative shipping addresses. Here follow the simple steps to add a different shipping address to your PayPal account. First Log in to your PayPal account. Place your mouse’s cursor over the “Profile” menu, then click “Add or Edit Street Address” on the list of options. This displays a list of your current shipping addresses. Click the “Add Address” button at the bottom of the list of addresses. Click “Add My Address” to add an alternative address of your own or “Add a Gift Address” to add another person’s shipping address. Click “Save” to finish adding the shipping address. Note that if you already entered a shipping address during the ordering process on a website, some websites only let you use that shipping address for the PayPal transaction. Remember that PayPal can maintain several shipping addresses in your account, which allows you to easily select a delivery location when making a purchase. These addresses might include a main business office, a branch outlet and your personal address to which you receive business shipments. When one of these locations changes, you can update the address by logging in to your PayPal account. Doing so helps ensure your item or gifts are delivered to the proper address. Open your Web browser and navigate to paypal.com. Click on “Help” near the top of the site’s interface. Click on the “Contact us” link. Select either “Call us” or “Email us,” depending on whether you would like to contact the PayPal support team by phone or by email. Log in to your PayPal account. If you had opted to call the PayPal support team, a one-time passcode appears on your screen. Write the passcode down, along with the PayPal Support phone number. If you had chosen to email PayPal, a menu appears, allowing you to contact the company. Note you cannot manually remove the address and need to contact PayPal to do so. Similarly if you wish to confirm an unconfirmed address then do the following. If you don’t know what it is then note that a confirmed address is often required by sellers who are concerned about protecting their buyers’ purchases, as it signifies in PayPal that your shipping and billing addresses are identical. This type of address confirmation adds an extra level of security to your transaction by protecting against fraudulent credit card activity and minimizing chargebacks. When you add a credit card to your account, PayPal verifies with the financial institution that the address is identical to the one they have on file. PayPal then converts your unconfirmed address into a confirmed address. If the credit card company is unable to verify the address for example, you have an international address, and the formatting is throwing off the verification, you can also complete the “Expanded Use” enrollment process, which involves the payment of a small fee followed by a short waiting period. There are other ways to confirm an address if you don’t have a valid credit card. For example, when you apply and get approved for PayPal’s credit card, the address used on your application becomes confirmed. You can also request that PayPal send a PIN number to the unconfirmed address that you then enter back into your PayPal account. To qualify for this kind of verification, you must have been a verified PayPal member at least 90 days, link a bank account to your PayPal account and provide an address that is not a P.O. Box. Note that making your unconfirmed address a confirmed one is different than becoming a verified eBay or PayPal member. To become verified, you first provide information about a valid bank account. PayPal then deposits small amounts and you report these deposits back to PayPal using a form in your PayPal account. Once verified, this type of account holder is given raised spending and withdrawal limits and is allowed to list items internationally on eBay online store. ← How does Visa work with PayPal in Canada? 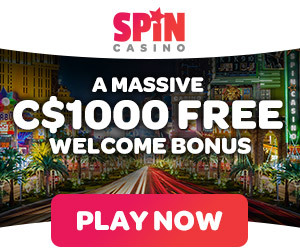 What are the parameters to test the best PayPal online Canadian friendly casinos? March 18, 2017 Kamal Kaur Comments Off on What are the parameters to test the best PayPal online Canadian friendly casinos?